Gardaí have revealed that operators of GoSafe speed vans attended fewer than half of their court dates in Clare last year. The absences result in court cases being deferred or struck out, but senior officers also insist that measures which have been already put in place to address this are leading to improvements. 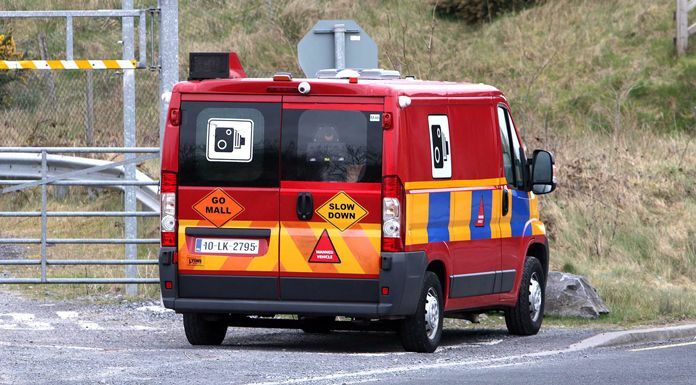 Issues relating to the prosecution of Clare drivers who’ve allegedly been caught speeding by the GoSafe speed vans have arisen on numerous occasions at local courts over recent years. Some of those have related to the non-attendance of GoSafe Operators, who are required to give evidence pertaining to the cases. When these staff have not been present, cases here have been adjourned or even dismissed altogether, meaning that drivers have sometimes escaped sanction. The matter was twice raised last year by Clare County Councillors, and now those concerns have been addressed by Gardaí in a letter to the local authority that has been seen by Clare FM. Gardaí have told the Council that in Clare, there were 71 court dates scheduled for GoSafe Operators last year, with only 29 resulting in actual court attendance. The letter explains that as operators operate across a number of District Court areas, conflicts have arisen with GoSafe staff expected in two courts at the same time. Now, in an effort to resolve the issues, GoSafe has liaised with the courts service with an aim of fixing set dates in each area, and it’s claimed this has already led to a reduction in lost court sessions.